Eleana is squashing an orange down into smaller segments. She is partly using it as stress relief. Eleana squashes an orange into smaller and smaller segments. The juice spurts out, running down her fingers… Anyone who knows Eleana, will also be aware that she’s dedicated to orange; the taste, touch, smell and color. Eleana is dressed in beige to try and blend in, but she always has a bit of orange ‘peeping out’. 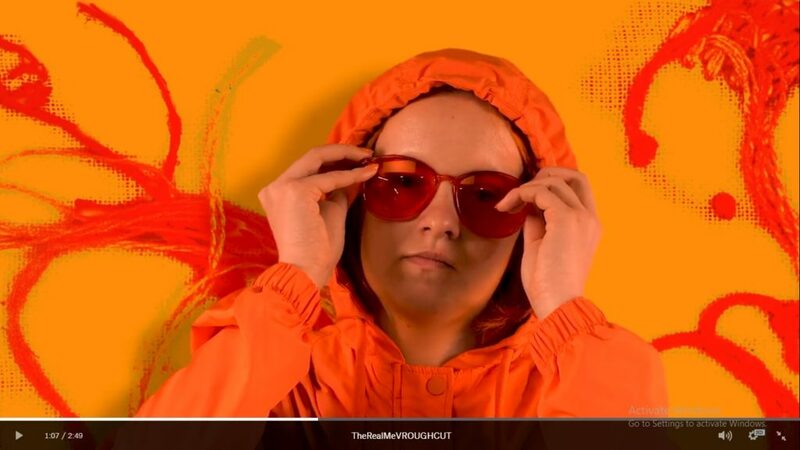 In the next scene she comically displays herself as a ‘cool’ tangerine gangster, stating, “What’s not to love?” A dark undertone to this vibrant short is that Eleana has experienced negative reactions to her individuality. As an ND individual myself, I understand too well how differences can be made hard by rejection and isolation. Many Autistic and ‘Aspie’ women face diminishing differences by ‘masking’. Eleana is dressed as a gangster in bright orange with graffitti behind her. ND individuals can feel cut off by being misunderstood. By creating this film Eleana has chosen to unveil some very private revelations. Eleana dances in front of a large embroidered sun that she sewed. A-Typical Autism – dressed as a gangster she talks about ‘masking’ to fit in. Mania – the orange wall blackens, representing how mania can cause her to feel distressed or despondent. 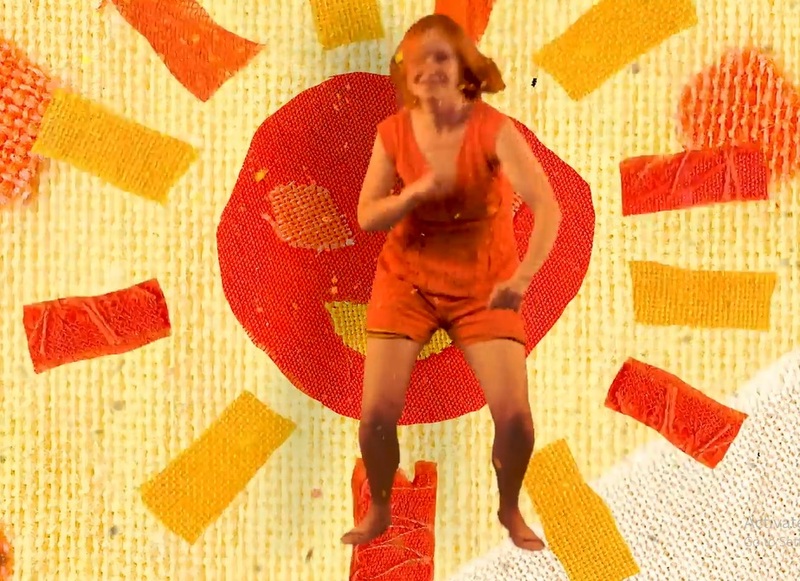 ADHD – she is depicted dancing into a huge spiraling sun. Something I personally find terrifying about being a neurodivergent individual is disclosure; the thought of neurotypical people discovering my diagnosis causes me intense discomfort and paranoia; so I asked Eleana, How does she find the strength to be so open? Eleana is currently on a judging panel selecting other films by ND artists to be displayed alongside hers at the Oska Bright Film Festival due to happen The Old Market in Brighton from 23-26 October 2019. OSKA Bright film festival is now taking submissions. If you are an ND artist, or an artist with a learning difference and would like to enter please follow this link for submissions details: deadline 30 March.